For many motorists, the older a car gets, the more concerns they have about getting it through its MOT. Older vehicles, especially ones with higher than average mileage, are going to show signs of age. It’s not just cosmetic wear and tear either. An older vehicle is more likely to suffer mechanical problems which not only compromise the integrity and safety of the vehicle, but repairs can also end up costing more than its worth. If your old car fails its MOT, then no one is going to want to buy it. You may need to consider scrapping it instead. Here’s a look at what an MOT involves and what you should do when you want to find someone to ‘buy my car’. An MOT is a legal requirement for all vehicles over 3 years old. The safety, roadworthiness and exhaust emissions are tested and must meet with the legal standards set by the DVSA. 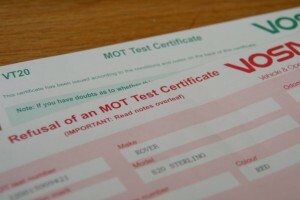 The test must be carried out by an authorised MOT station. If your car passes, you’ll receive an MOT certificate. If it fails you’ll be given a list of repairs that are needed. Driving a car with a failed MOT may incur a fine of £2,500, a ban from driving and 3 penalty points on your licence. Mirrors, wipers and windscreen – condition and ability to allow the driver an adequate view of the road. If you find your old car has failed its MOT, the repair list is too costly and you need someone to ‘buy my car’ London, then give Scrap Car Kings a call. We offer an instant quote, direct bank account payment and a car collection service. Contact us today for more information.